It’s been a busy couple of months; I’ve gone from never having spoken at a conference to having talked at three. Admittedly I was also the organiser of one, but still I that still leaves two ‘real’ conferences. Conference number one was the St Andrews School of Biology Postgraduate conference. 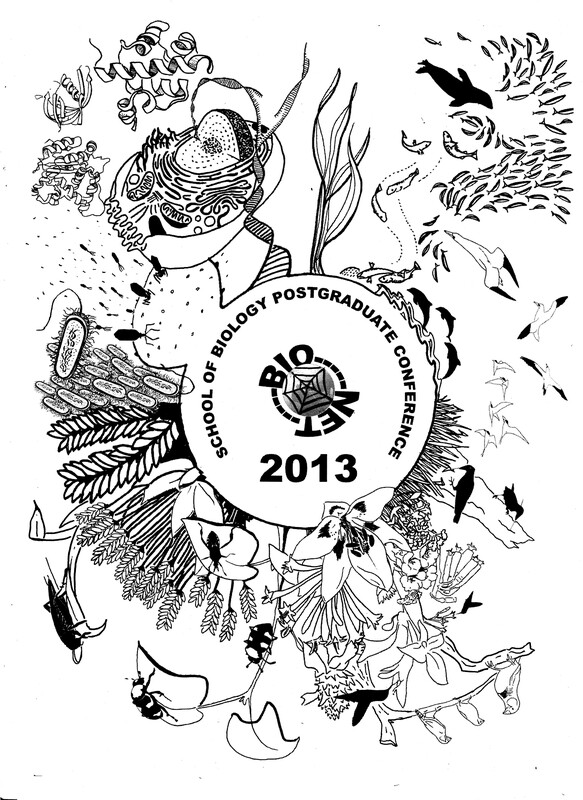 As the president of the Postgraduate Bio-Network I was in charge of organising this one. I’ll be the first to admit I haven’t exactly been the most active president in the BioNet’s history (most of the actual running of the network was done by my co-president, now sadly banished to the wilds of Glasgow) so I was determined to prove my worth and actually do a good job on this one. Despite some panic early on in the organisation, when I was having trouble securing a venue, the whole thing went off remarkably smoothly. Indeed one of the major complaints was a distressing lack of biscuits during the coffee breaks, a problem that was quickly fixed by a trip to Tesco. 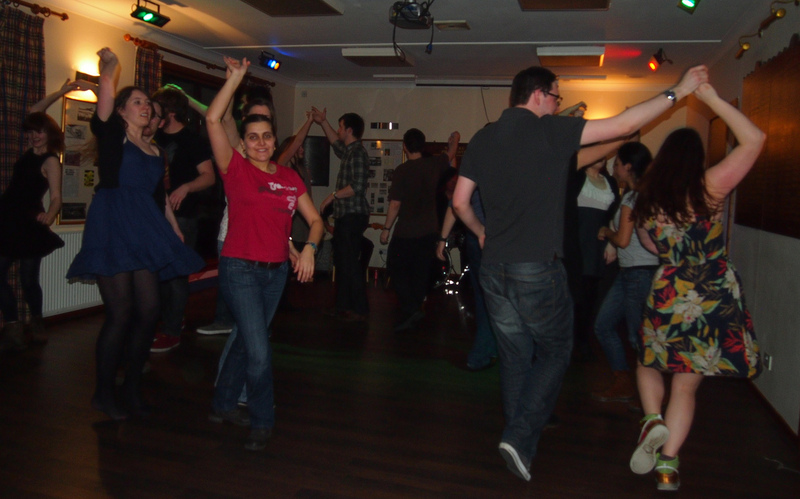 Attendance was somewhat sporadic, as is always the case when you demand a bunch of stressed-out PhD students leave their labs for two days to learn about each-other’s work, but the wine reception and ceilidh were both well-attended. I’m proud to report that my talk was voted 3rd best (alas there were only prizes for 1st and 2nd place but at least that way I avoided any accusations of fixing!). 1st prize went to an excellent talk on the effect of temperature on jellyfish, and second to a talk of the effects of oxytocin in seals. The poster prizes were taken by a pair of very originally designed posters on Guppy behaviour, one of which resembled a comic strip. Perhaps unsurprisingly, I found actually talking one of the least stressful parts of the conference (with the exception of the ceilidh). The second conference took place the day after the first (and hence the morning after some considerable drinking and dancing on my part). The Scottish Conference on Animal Behaviour (somewhat unfortunately abbreviated to SCAB) is a friendly little conference held this year in Glasgow. After an early start to drive cross-country in the snow, we were relieved to find plentiful coffee and no shortage of biscuits upon arrival. The breaks and poster session where held in the Zoology Museum in Glasgow University, an awesome venue with a particularly original entomology section. The quality of all the talks and posters was very high, the only slight distraction being the lack of heat in the lecture theatre. The range of the talks was also excellent, everything from insect behaviour to fish development. My favourite talk was on sexual swellings in primates and best talk was awarded to a presentation on age-dependent behaviour in the wandering albatross. I was in the final session and so nervous I did my 15 minute talk in less than 10. Despite this I apparently made sense and did at least get our session back on time as the talk before mine had overrun. Sadly any attempts at socialising were cut short as there was only time for one glass of wine before we were back in the car to get home before dark. The final conference of the spring was the ASAB Easter meeting. This year it was held in sunny Lincoln and, surprisingly, it was actually quite sunny. The conference started with a workshop on Sensory Ecology. While a lot of the talks were not really relevant to my work (good luck getting a seed bug to use a touch screen) it was nevertheless engaging. In particular the talk on how animals perceive and use signals got me thinking more about how the aposematic nature of my bugs might influence their communication. While going to a conference with people from your own department can sometimes end with you talking only to each other, this time it worked in my favour. My companions knew some of the other attendees from masters courses and previous conferences and so were able to introduce me to several lovely new people. This is useful for me as if left to my own devices I tend to lurk in corners consumed by social anxiety, hardly an effective networking strategy. I also had the chance to chat to a student who will be joining our lab come September and hopefully helped impress upon her the extent to which alcohol plays a role in the design of new experiments. I could try and describe all the good student talks (of which there were many) but that may push this post over the 1000 word mark and ensure no-one ever reads it. Suffice to say the overall trends of the conference, to my mind at least, were learning (in the form of discrimination tasks) and personality (thankfully based on repeatable behaviours and not pet owner questionnaires). The winning talk was on the effects of induced sickness on bee learning, a study which while interesting did make me feel for the poor queasy little bees. Personally, the fact that has most stuck with me from the whole conference is that tortoises prefer mango jelly to apple jelly. Sadly their thoughts on strawberry jelly remain unknown to science. The highlight of the whole thing was undoubtedly the dinner. 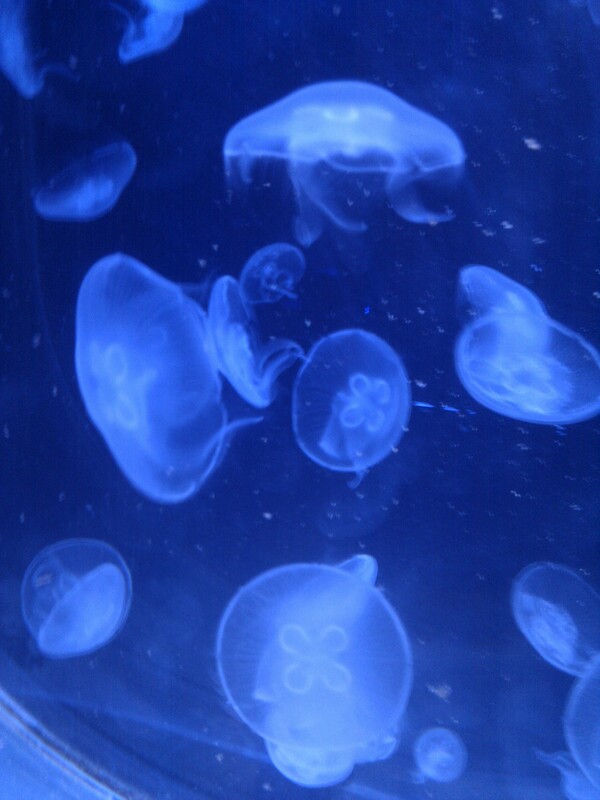 It was held the The Deep, an aquarium in Hull. This did necessitate an hour long coach trip that felt remarkably like a school trip but it was well worth it. Upon arrival we were provided with small cones of fish and chips and let loose in the now-empty aquarium. 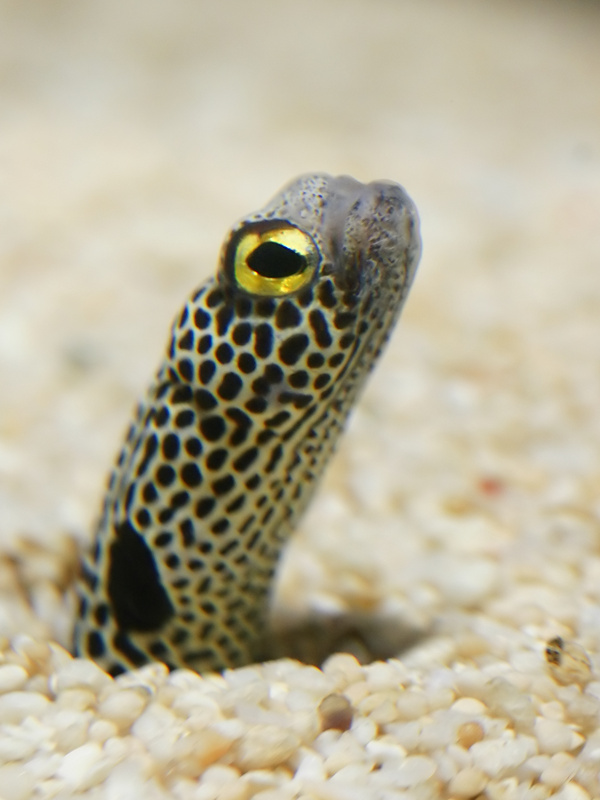 Asking a biologist to pick their favourite animals is near impossible, but a special mention has to go to the jellyfish and the garden eels (see below). So that concludes my conference round-up. I will now be forced to actually concentrate on my own work, at least until ESEB and ENTO 2013 later in the summer.